Finding the perfect SUV can be a tough task, especially with so many amazing options to choose from. Not only do you have to sort through what your own personal needs are, but you need to look at what SUV simply is just the best. To help you along, we’ve chosen the top two SUVs in the segment, and we are going to compare these vehicles in order to better find out which one truly reigns supreme. The two SUVs we are looking at include the 2019 Jeep Cherokee and the 2019 Ford Edge. The 2019 Cherokee has been redesigned, and cruise into the 2019 model year with a new optional engine, a brand new exterior look, and a standard infotainment system that has been upgraded. The 2019 Edge also comes with a new look, a new trim level, and a longer list of standard features. While both of these SUVs are off to a great start, keep reading down below to see who pulls ahead. In the 2019 model year, the Jeep Cherokee offers three different engine options. The first of these is a 2.4-liter inline-4, which can pump out 171 pound-feet of torque and 180 horsepower. The next engine is a 3.2-liter V6, generating 239 pound-feet of torque and 271 horsepower. The last available engine, new to the 2019 model year, is a turbocharged 2.0-liter inline-4, which can create 295 pound-feet of torque and 270 horsepower. Every engine is available in front-wheel or all-wheel drive. You’ll also be getting a nine-speed automatic transmission. The towing capacity, with the V6 engine, is 4,500 pounds. The 2.4-liter engine can get you fuel economy of around 22 mpg city and 31 mpg highway with front-wheel drive. The 2019 Ford Edge comes with two engine options. The first of these is the 2.0-liter EcoBoost inline-4. This engine does offer a nice boost, but it’s slightly disappointing compared to the power that is generated with the Cherokee. The second engine comes with the new trim, the ST. This engine is a 2.7-liter EcoBoost V6, which does up the power, but still does not outshine the Cherokee. The standard drivetrain is front-wheel drive, although, all-wheel drive is an optional feature. Every 2019 Edge model comes with an eight-speed automatic transmission. An important part of the engine system is start-stop technology, which helps to save on gasoline. Five main trim levels are offered with the 2019 Cherokee. The first of these, the Latitude, comes with a six-speaker audio system, a USB port, Bluetooth, 60/40-split folding rear seatback, heated side mirrors, 17-inch wheels, a 7-inch touchscreen interface, a rearview camera, a folding front passenger seat with a storage compartment inside the seat cushion, height-adjustable front seats, and automatic xenon headlights. Another trim level is the Limited, which features an 8.4-inch touchscreen infotainment system, a power front passenger seat, an upgraded driver information display, blind-spot monitoring and rear cross-traffic alert, heated front seats and a heated steering wheel, leather upholstery, rear parking sensors, and 18-inch wheels. The most luxurious Cherokee available is the Overland. This trim gives you HD radio, a 9-speaker audio system, a power-adjustable passenger seat, upgraded leather upholstery, a leather-wrapped instrument panel, sound-deadening windshield and front windows, unique body-colored exterior trim, a navigation system, sliding rear seat, ventilated front seats, wood steering-wheel inserts, driver-seat memory functions, cornering lights, and 18-inch wheels. The Ford Edge comes in four trim level options. These trims include SE, SEL, Titanium, and ST. Some of the standard features that come with the 2019 Edge include a six-speaker stereo system, auto high beams, 18-inch silver-painted aluminum wheels, a tilt-and-telescoping steering column, a 4.2-inch color LCD screen, steering wheel-mounted cruise control and audio controls, rear 60/40-split fold-flat seats, rain-sensing windshield wipers, a lane-keeping system, Intelligent Access with push-button start, a rearview camera, a Personal Safety System, MyKey, LATCH, 4-wheel disc brakes, Canopy system, and AdvanceTrac with RSC. Some available features include a heated steering wheel, a remote start system, heated and cooled front seats, an engine block heater, adaptive cruise control with stop and go, a voice-activated navigation system, and an 8-inch color LCD touchscreen. These SUVs put up a good fight, but the 2019 Jeep Cherokee takes the cake. Not only is the Cherokee perfect for on-the-road driving, but its Jeep pedigree means it works just as well off of the road. The Edge cannot keep up, and not many SUVs could. 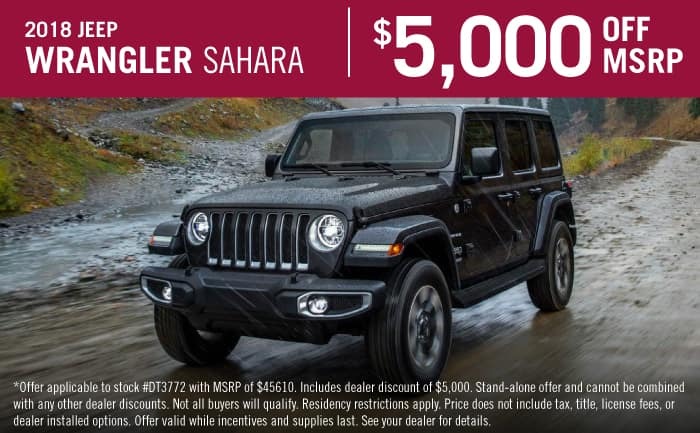 To learn more about the Cherokee, stop by our dealership today or check out our full model review that is linked down below!